The sad truth is that four out of five students are not proficient writers, and they do not appreciate the negative impact this deficit can have on their future learning or their careers. Writing is one of the most basic, and yet, one of the most important skills to master, as writing, like speaking, sets one apart and defines the individual. Barbara has successfully guided hesitant writers to earn writing awards. The writing experience addresses both expository writing and creative writing skills. Her successful students range in age from elementary school to college. With her lifelong passion to help others by teaching, she has developed a proven system that differentiates students’ needs, while focusing on the individual pupil. Barbara has developed “The Achievers Circle”, which incorporates a progressive system of learning that consistently simplifies the learning process for all types of students, giving them the confidence to be more productive and successful. This system is utilized in several ways, whether it is the more recent method of virtual tutoring, or the more traditional method of in-home tutoring, each lesson follows Barbara’s proven format, designed to improve confidence and competence. This devotion is probably best recognized by expanding her teaching skills to the field of special education, where she earned her Certification in Learning Disabilities. This field alone requires the most thorough understanding of a child’s needs when the child cannot accurately express what they need. Such instruction is guided by educational assessments given to the tutor provided from either the school or private testing. 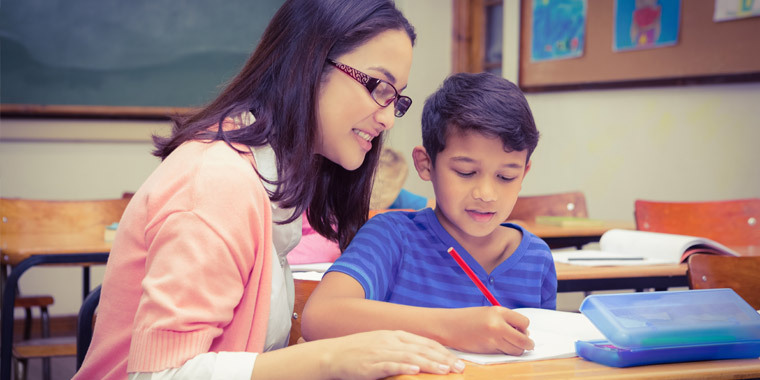 Finally, in all learning areas, students may require only a specific temporary tutor to help through an immediate need, or an extended tutoring program. Both offerings are available. Some targeted needs are: homework help, study strategies, organization of time and materials, test preparation, reading comprehension, and written expression.